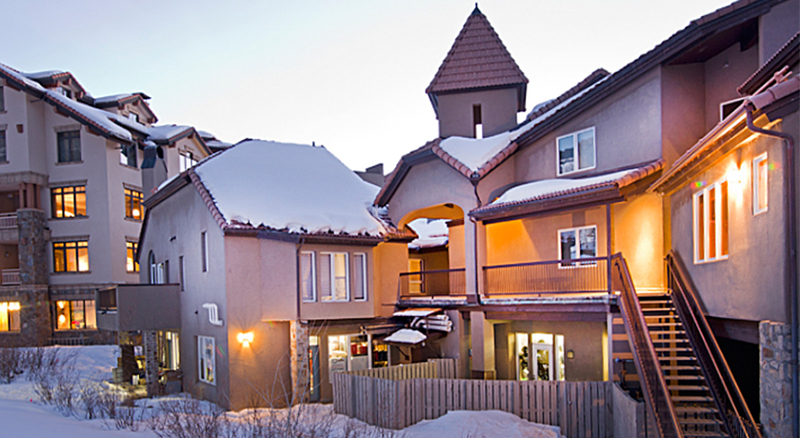 Ideally located in the center of Mountain Village, Le Chamonix is slope-side and adjacent to the Children's Ski School and Nursery. 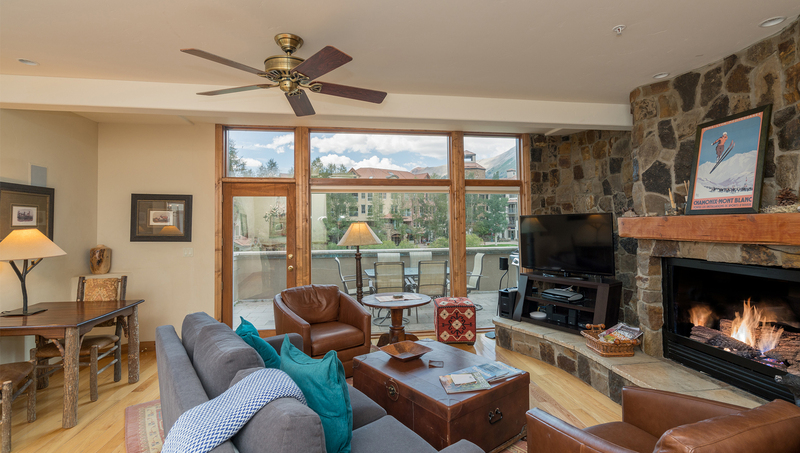 These condominiums offer an abundance of amenities including gas fireplaces, jetted tubs, steam showers, decks with views and a common outdoor hot-tub. Nestled in the core of Mountain Village, seconds from the gondola, golf course, ski school and the ski area, Le Chamonix is in a perfect location. You enter the studio from the second floor accessed by elevator and there is one level to the studio. 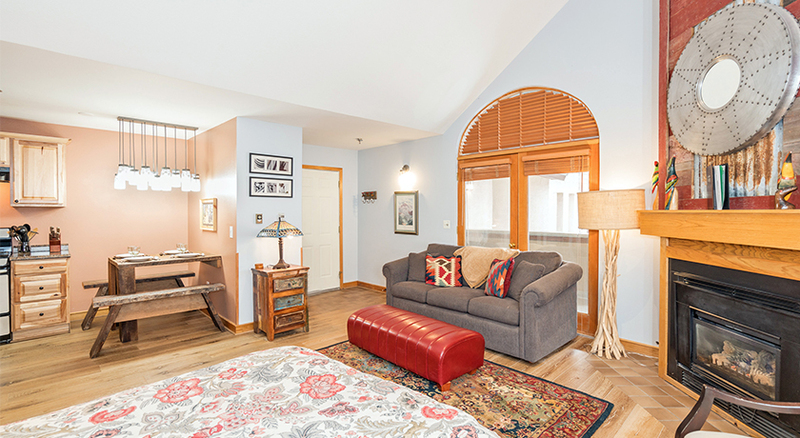 As you walk in, the sitting area is directly in front of you which include a 26 inch flat screen TV, gas fireplace and the closet for the Murphy bed. 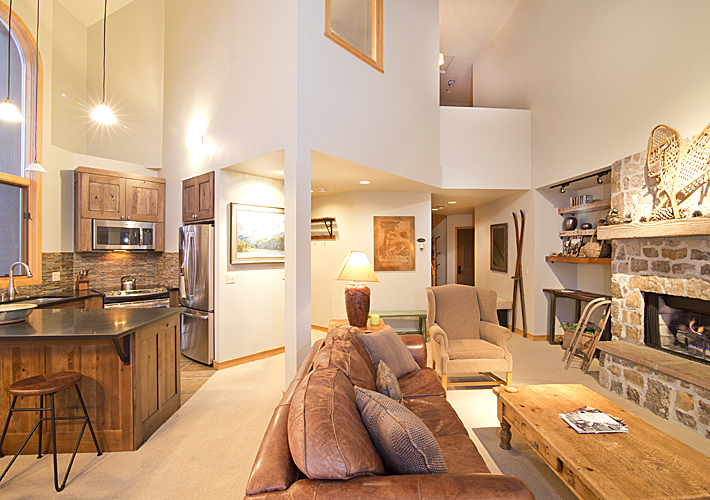 To the left of the living room is the fully equipped kitchen and dining area with seating for 4. Down the hall from the entry is the bathroom with a shower/tub combo. 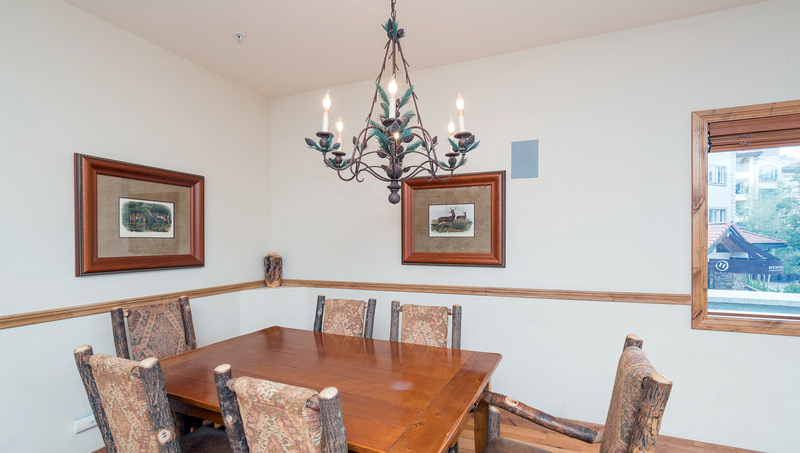 Complex amenities include a common outdoor hot tub, ski locker for each unit and elevator access. 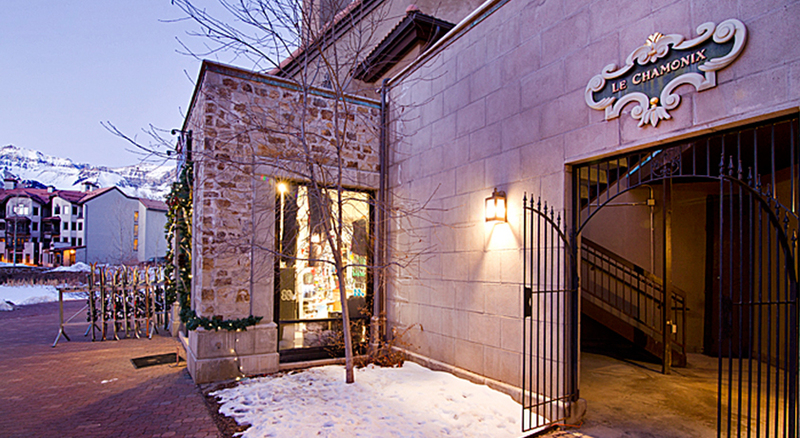 One free parking space is available underground in the Heritage Plaza parking garage located under Hotel Madeline in the Mountain Village core. 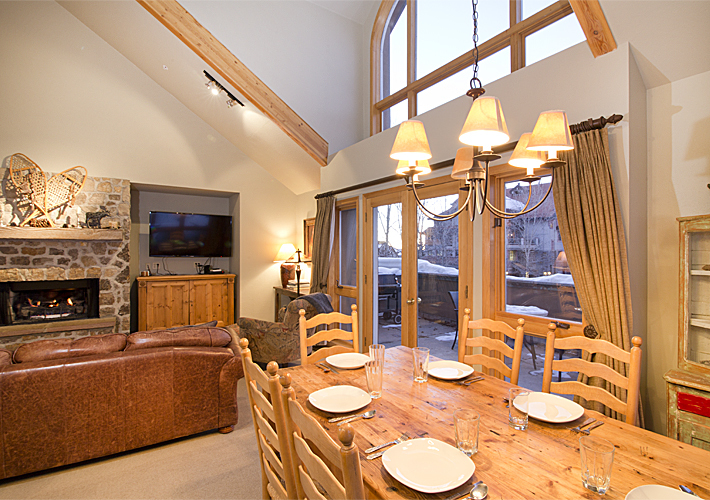 Any additional parking is at the Mountain Village intercept lot at $25 per night. 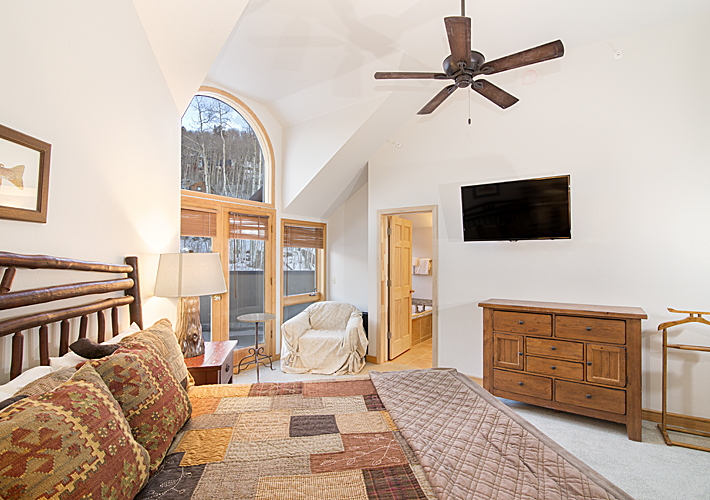 A 3-bedroom value that is newly remodeled, nestled in the core of Mountain Village, seconds from the gondola, golf course, ski school and the ski area, Le Chamonix is in a perfect location. You enter this condo from the second floor accessed by elevator and outdoor hallway and there are 2 levels to the condo. When you enter into the condo the first bedroom has a queen bed and private, newly remodeled bathroom. To the left of the entry is the second bedroom. This bedroom has a captains bunk bed (twin bed over a queen). Across the hall from the second bedroom is a bathroom with steam shower and the washer/dryer. Continuing down the hall is the living room and kitchen area. 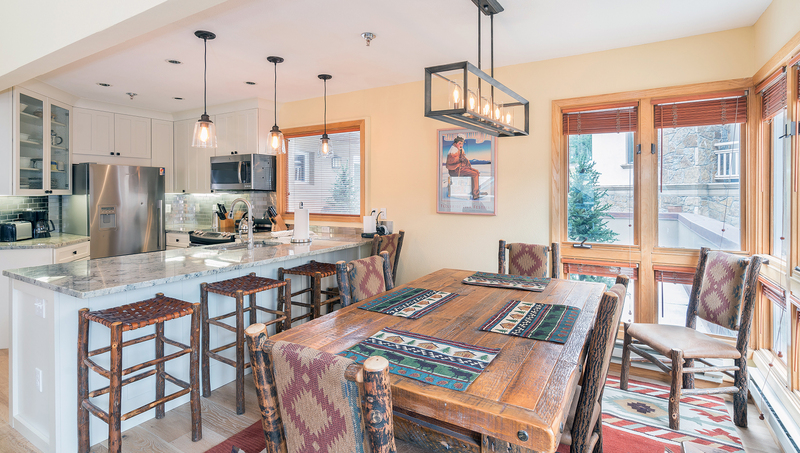 The newly remodeled kitchen is fully equipped, has granite counter tops, a brand new stainless steel fridge and 3 bar stools. 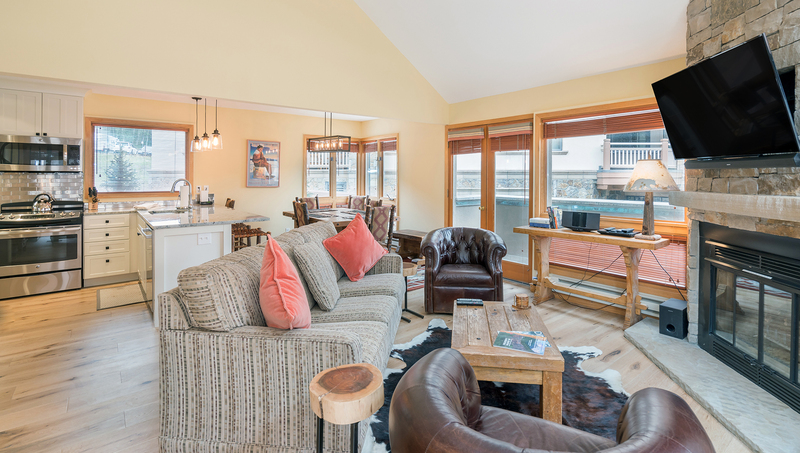 The living room features a dining room table, a gas fireplace, 36 inch flat screen TV, CD player, double sleeper sofa and access to 2 decks with an outside propane grill. There is a spiral staircase in the living room leading to the master bedroom. 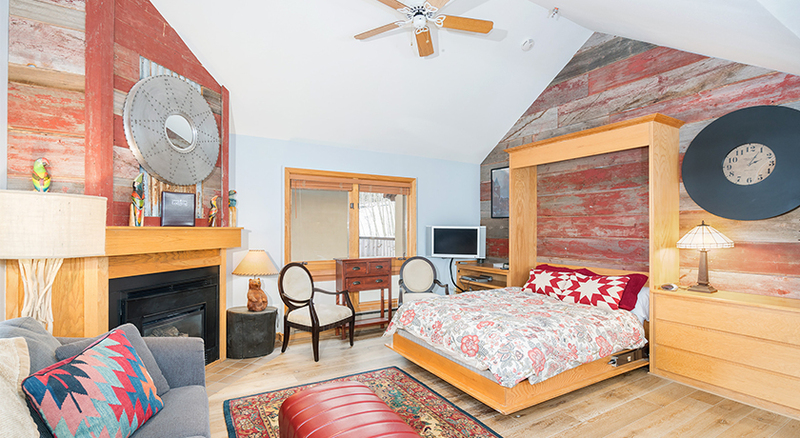 This bedroom has a split king bed, flat screen TV, walk-in closet and private bathroom with walk-in shower. 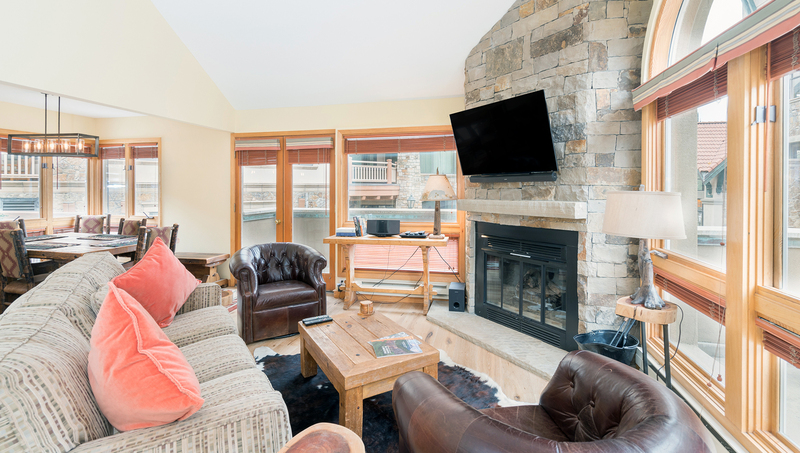 NWith this 3-bedroom residence nestled in the core of Mountain Village, seconds from the gondola, golf course, ski school and the ski area, Le Chamonix is in a perfect location. You enter from the second floor accessed by elevator and outdoor hallway, and there are 2 levels to the condo. As you enter, you walk in to the living room, dining room and kitchen area. 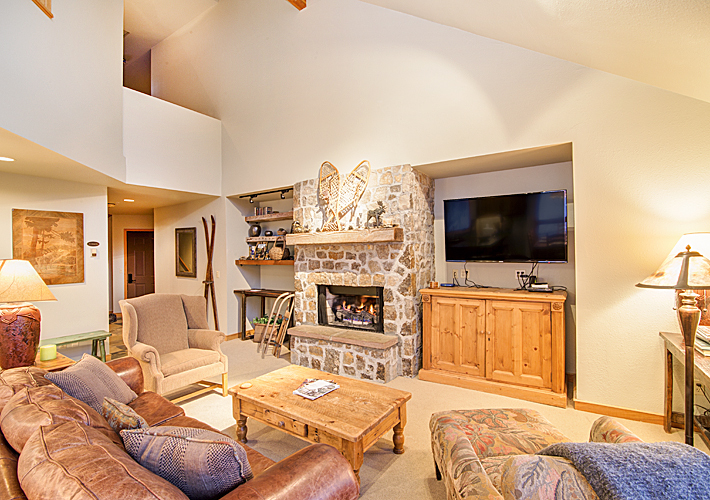 The living room features a flat screen TV with VCR and DVD, gas fireplace and a large deck. The deck has great mountain views and a gas grill. 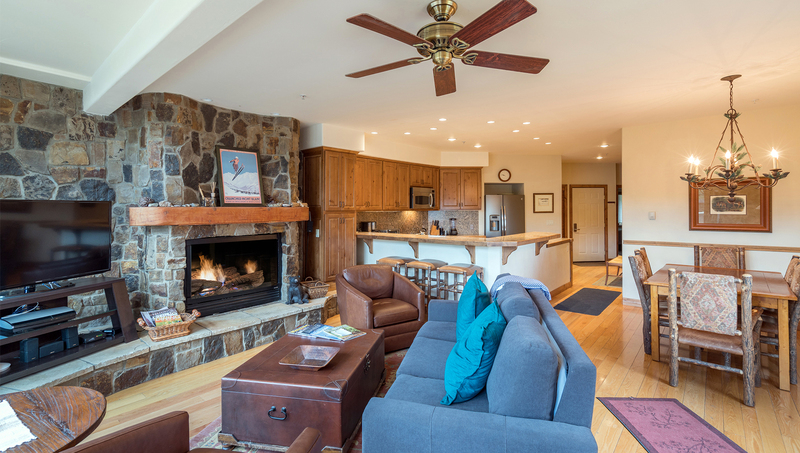 Open to the living room is the full kitchen and dining room seating for 6. 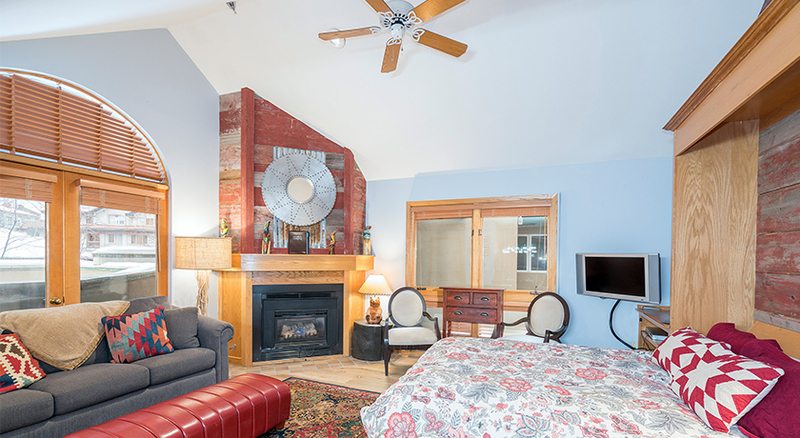 Up the stairs located by the front door you will find the master bedroom which has a king bed and flat screen TV. There is a private master bathroom with a shower and Jacuzzi tub. The other 2 bedrooms are located downstairs. 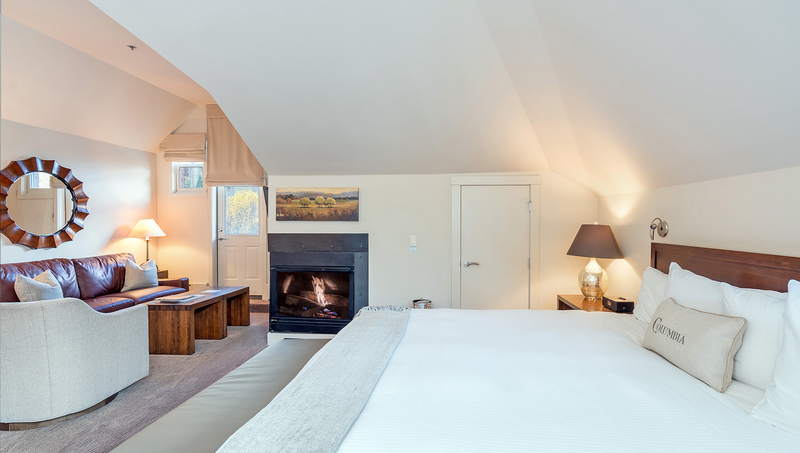 The second bedroom has a queen bed, flat screen TV with private bathroom with a shower only. Right across the hall is the third bedroom which has a full bed and TV/VCR. The third bathroom is located off the hallway and has a shower only. There is also a washer and dryer in the condo. Nestled in the core of Mountain Village, seconds from the gondola, golf course, ski school and the ski area, Le Chamonix is in a perfect location for families. You enter from the second floor and there are 2 levels to the condo. As you enter, you walk in to the full kitchen with updated stainless steel appliances, granite counter tops and a dining area with seating for 6. 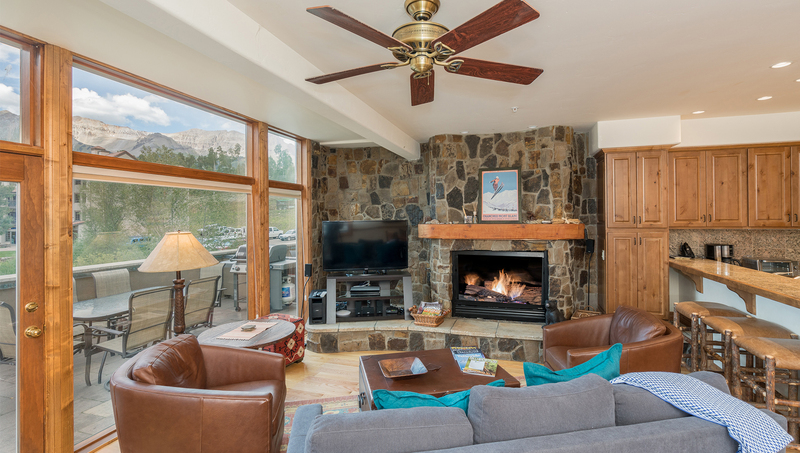 The open living room has cozy seating, TV, gas fireplace and a large deck with patio seating and amazing mountain views. To the left of the entry way there is a bedroom with a queen bed and TV. The bathroom is located in the hallway outside of the bedroom. Upstairs to the right is the second bedroom with a queen bed, TV and a jetted tub in the attached bathroom. To the left up the stairs is the master bedroom which has a split king (can be set up as a king bed or 2 twins), desk, TV and a private deck. The bathroom is attached and has a separate jetted tub and steam shower. 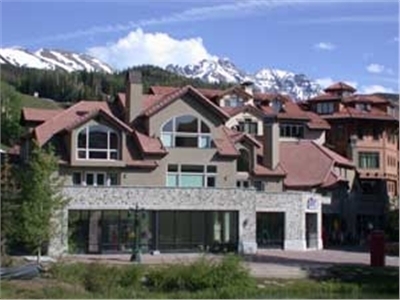 Le Chamonix complex amenities include an elevator, ski lockers and a common outdoor hot tub. There is also a private washer and dryer in the condo. One free parking space is available underground in the Heritage Plaza parking garage located under Hotel Madeline in the Mountain Village core. 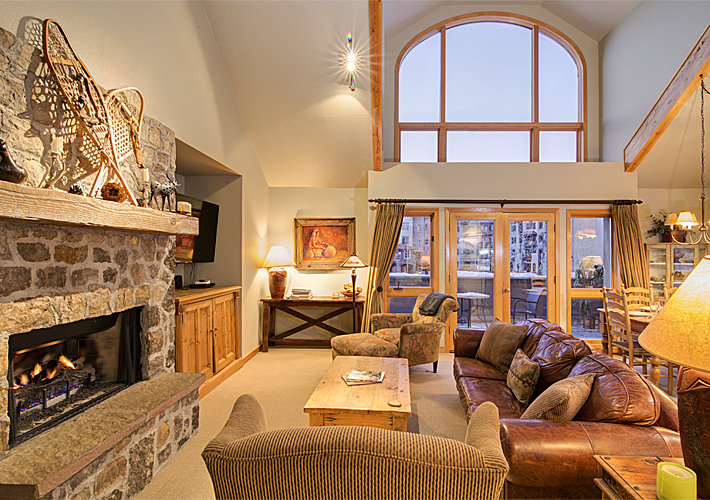 Any additional parking is at the Mountain Village intercept lot at $25 per night.